Today is leftovers day, where I try to clean out the refrigerator and use up all of the extra, superfluous ingredients that I have laying around from throughout the week. But just because they are leftovers doesn’t mean that they can’t be fabulous. Here I took some left over (and amazingly versatile) shortbread dough, pressed it into individual tart pans, and blind baked them in a 350º oven. I then filled them each with some left over lemon curd, and topped them with some fresh berries (raspberries and strawberries respectively). 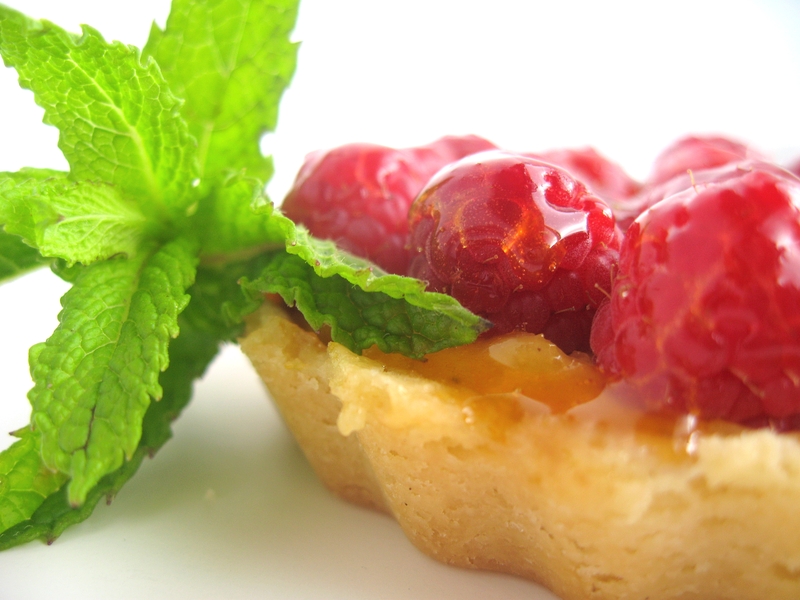 I finished the tarts off with a glaze of apricot jam, which not only seals in the moisture, but also creates that beautiful, unctuous exterior. 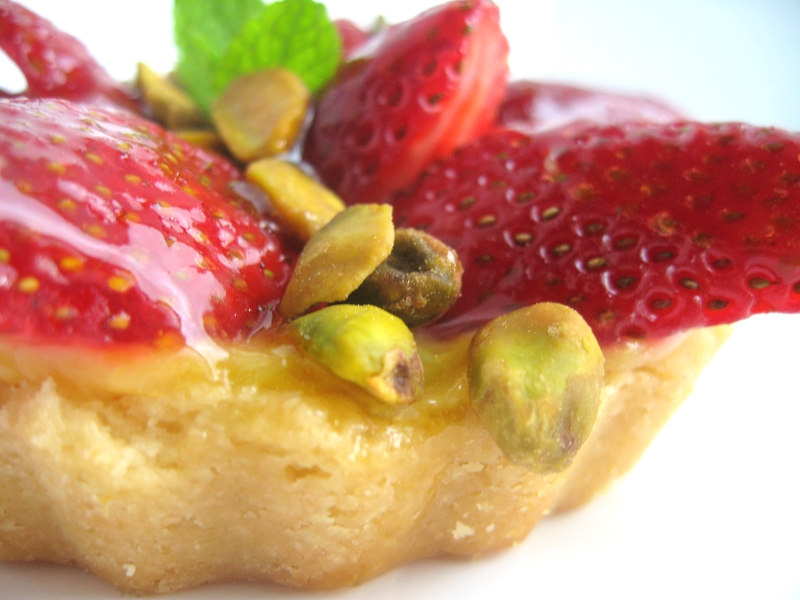 Taking a cue from Ina Garten, on the strawberry tarts I added a sprinkling of pistachios for some color and crunch, and garnished them both with some fresh mint. 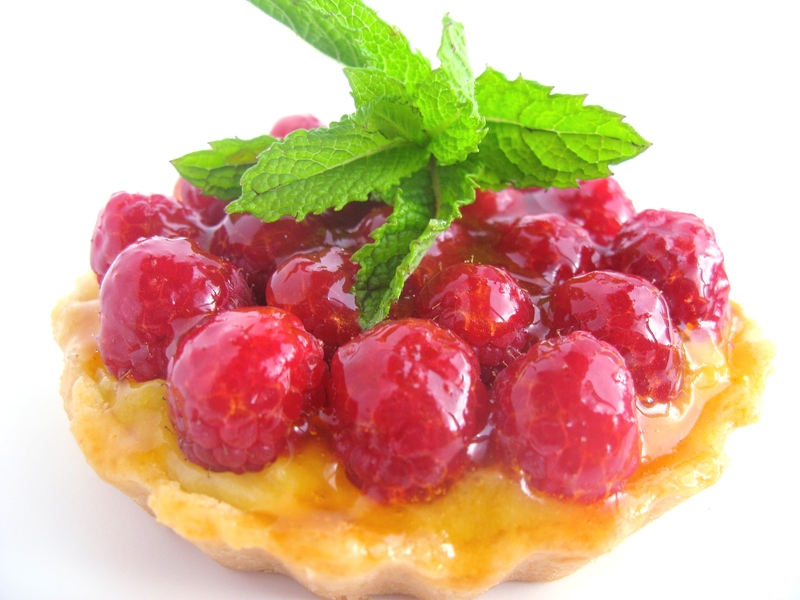 The buttery crust, tart lemony filling, and fresh berry sweetness make for a deliciously simple, yet impressive dessert sure to thrill any and all of your guests. Perfect for a leisurely Saturday afternoon. Enjoy! These look lovely! I took advantage of the fresh berries this morning too, with strawberry-raspberry-cherry fruit salad with meringues (lazy woman’s pavlovas) and fresh whipped cream. I ❤ berry time. Looks like we both had the fruit tarts on the brain, huh? it’s so hard not to with all the summer fruit. 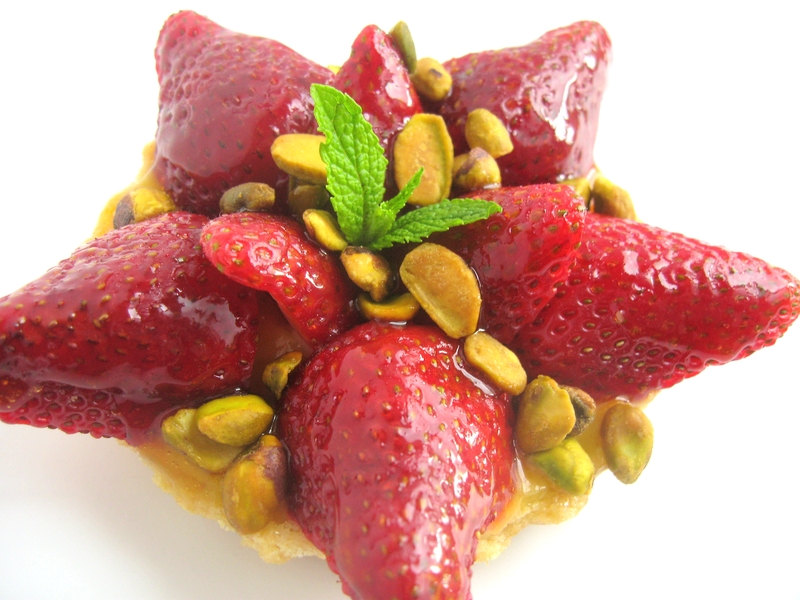 I love the star shaped strawberry tart with the pistachios! Gorgeous, dahhhhling! These look beautiful, and delicious! These are so pretty! I love the addition of pistachios for texture and flavor. Gorgeous! 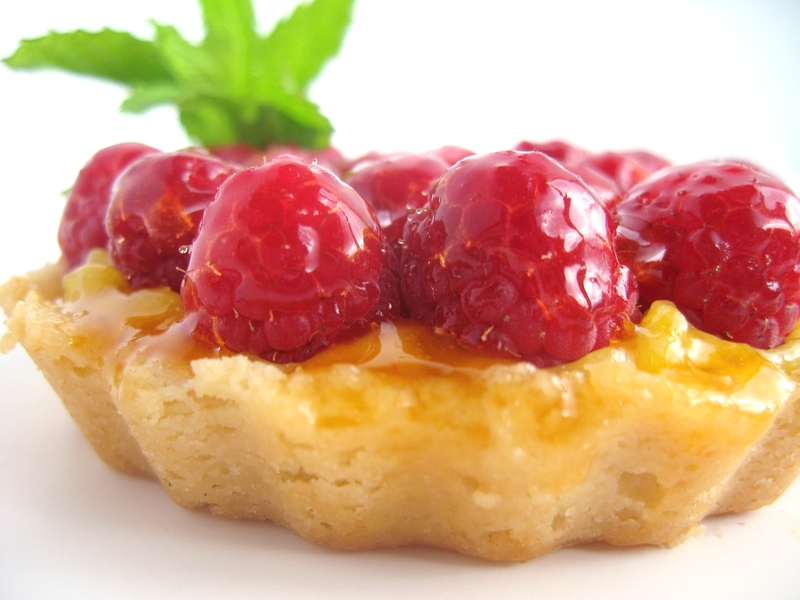 I have a weakness for fruit tarts! I need to head out to the farmers market next weekend to pick up some berries! These are gorgeous…I can hardly believe they began as leftovers! These look positively delicious! And the presentation is stunning. I love the incorporation of fruit in your desserts.